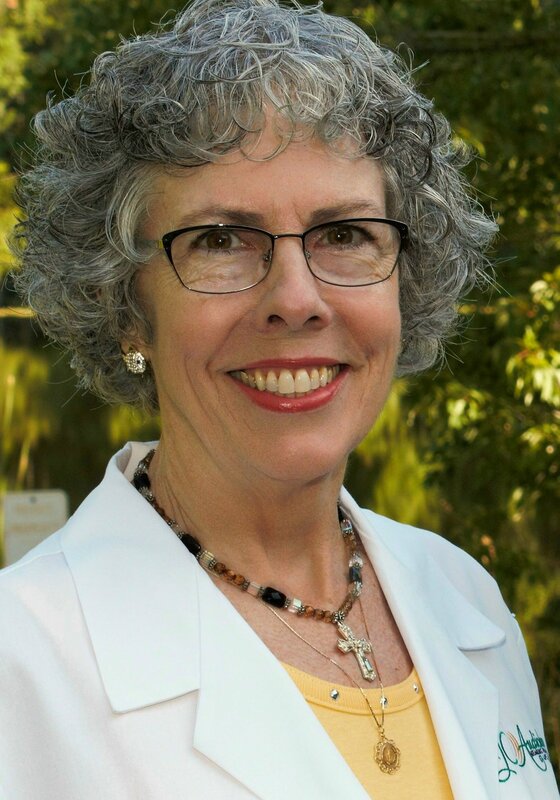 JC Audiology was founded by Dr. Judith L. Reese in 2005 in Lutz, FL. Since opening her practice, thousands of patients have come to experience her quality care and service of their hearing needs. JC Audiology is an independent hearing aid dispenser--not a part of any chain or franchise--so our recommendations are completely independent and objective. The only boss we answer to is you, our valued patient. Judith Reese Ph.D., is a nationally-known Audiologist, who is well-respected among her academic colleagues, hearing aid manufacturers, other private practice Audiologists, and most importantly, her patients. In addition to serving patients in the Tampa Bay area at JC Audiology, she has served as a clinical audiologist at Tampa Bay area hospitals. Dr. Jennifer Steed is a highly experienced audiologist who has served thousands of patients in her career with the Central Florida Speech and Hearing Center in Lakeland as well as in Ear, Nose, and Throat practices in the central Florida region. She is an honors graduate from the University of South Florida, and she earned her Doctorate in Audiology (Au.D.) degree there in 2003. She is a member of the American Academy of Audiology and the Florida Academy of Audiology. She has served as a mentor for graduate Audiology students and was the lead audiologist on pediatric craniofacial/cleft palate team meetings through Children’s Medical Services Polk County. Additionally, she has provided seminars and lectures to the community regarding hearing health, hearing loss and current treatments available. Dr. Steed is proficient in diagnostic testing with patients of all ages, including difficult to test populations, and her years of experience in hearing aid selection and fitting, counseling and preceptor roles, all make her one of the most well-respected dispensers of hearing technology around. Charlie Reese is the President and Listener-in-Chief at JC Audiology, where he manages the business operations, HIPAA compliancy activities and patient advocacy. He has a Masters in Business Administration from Saint Leo University, and has served in community leadership positions as president of a variety of organizations such as the Central Pasco Chamber of Commerce (he was Chamber Member of the Year in 1997), Central Pasco Habitat for Humanity, and Leadership Tampa Bay. He served as a Community Columnist for the Tampa Tribune, and his writings have been published in numerous publications throughout the country. His marketing success over the years has earned him statewide and national awards. Louise Kennedy is our Patient Care Coordinator Extraordinaire! She has served the patients at JC Audiology since 2011, where she cheerfully greets patients on the phone and in person as well as perform a myriad of other duties crucial to running a busy audiology practice. Prior to coming to JC Audiology, Louise worked in administrative positions with Fortune 500 companies in New York, Maryland and Florida. Joy Niklas is an Audiology Assistant licensed by the Florida Board of Speech-Language Pathology & Audiology. As an Audiology Assistant, Ms. Niklas is supervised by JC Audiology’s Director of Audiology, Dr. Judith L. Reese, and assists Dr. Reese in servicing hearing devices in our clinic. The American Academy of Audiology and the American Speech-Language-Hearing Association both endorse the vital role of Audiology Assistants in clinical practice, stating the Audiology Assistant improves access to patient care by increasing availability of hearing related services, as well as increased productivity by reducing patient wait times and enhancing patient satisfaction. As JC Audiology’s Hearing Aid Hospital services more than 100 devices per month for both routine maintenance and repairs, this role is a critical one in helping our patients continue to hear optimally. Ms. Niklas joined the JC Audiology team in 2018, and brings a wealth of experience in patient healthcare settings. She holds a degree in Opticianry Dispensing Technology from Hillsborough Community College and has worked as an optician for nearly 20 years. She also has experience in both educational and legal settings, with a particular focus on a JC Audiology priority: Excellent Customer Service! Ms. Niklas holds a Theology degree from Catholic Distance University, which is evident in the compassion she shows to each individual and that person’s hearing needs. Our camera-shy insurance coordinator, Susan Colborne, handles the always changing, always challenging aspects of insurance filing for JC Audiology. We accept many insurance policies for hearing tests and devices, and because of the complexity and variety of plans and benefits, we are fortunate to have an insurance coordinator facilitate the processes involving this important area of the practice. Ms. Colborne has more than two decades of experience in medical billing working with physicians practices in the Tampa Bay area. She received her Bachelor’s Degree from Wayne State University. Her expertise in insurance policies allows us to provide patients with information pertaining to any benefits or discounts their policies allow.